Want some hot beverage like tea? Hot chocolate? or coffee in the morning? Here comes the Oumeite glass kettle. You can have it ready in 8 minutes. It boils water faster than a microwave, safer than a stovetop kettle. No need to stay beside because it will automatically shut off when reaches a boiling point. 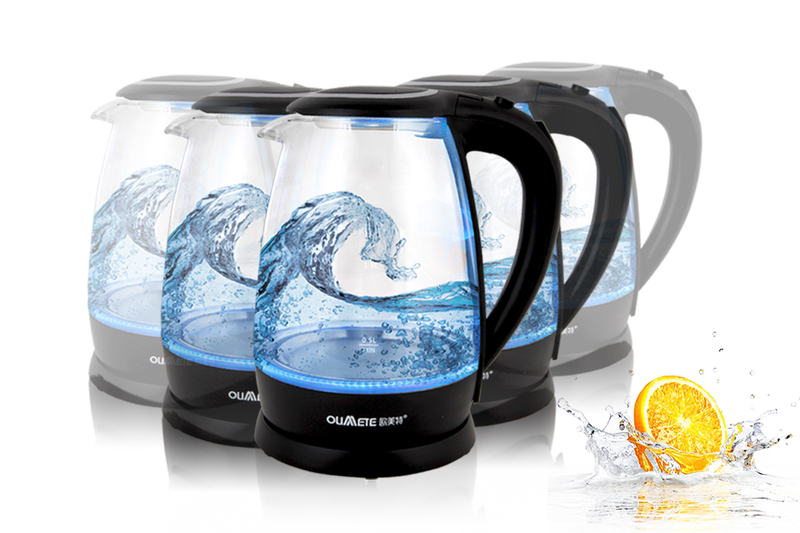 The attractive glass form of the kettle allows you to observe the entire heating process. With some illumination in the kitchen, not only can be a decoration, but can delight guests. 360°of Freedom Serving at the table without particular direction request . It is design to work no matter at which angle you put it down. Easily lift it off the 360-degree rotating base without the cord and carry it where you need to. Water filter the filter strains the water while you pour, providing you with a cleaner kettle and cleaner cup. 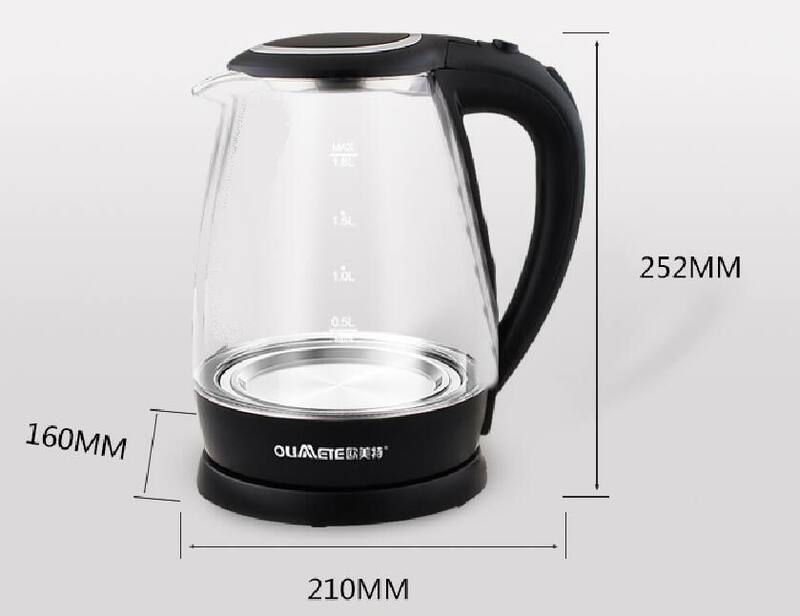 Check to make sure the kettle is filled past the "Min" mark. 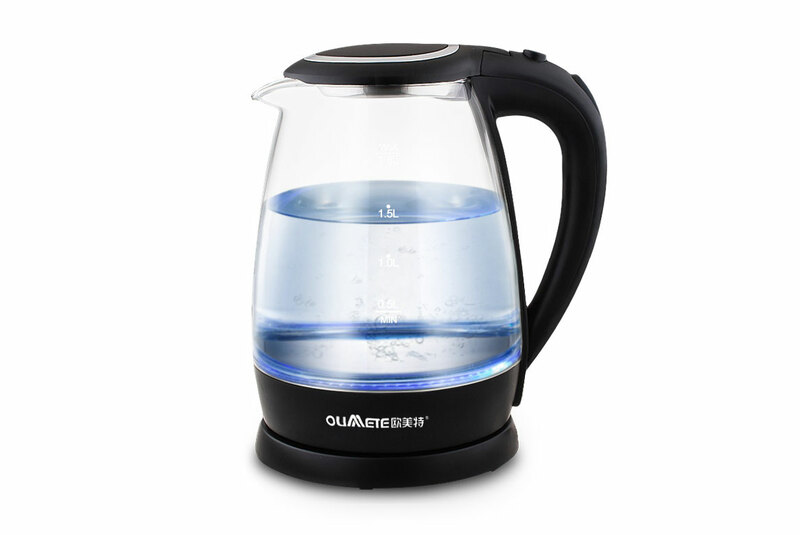 If the kettle is plugged in and turned on without any water in it,it will automatically shut off to prevent overheating.The kettle will be able to turn on again in a few minutes after it cools back down to a safe temperature. Check the removable filter in the spout for clogging.If necessary,clean the filter with a soft-bristled brush and rinse with warm water. 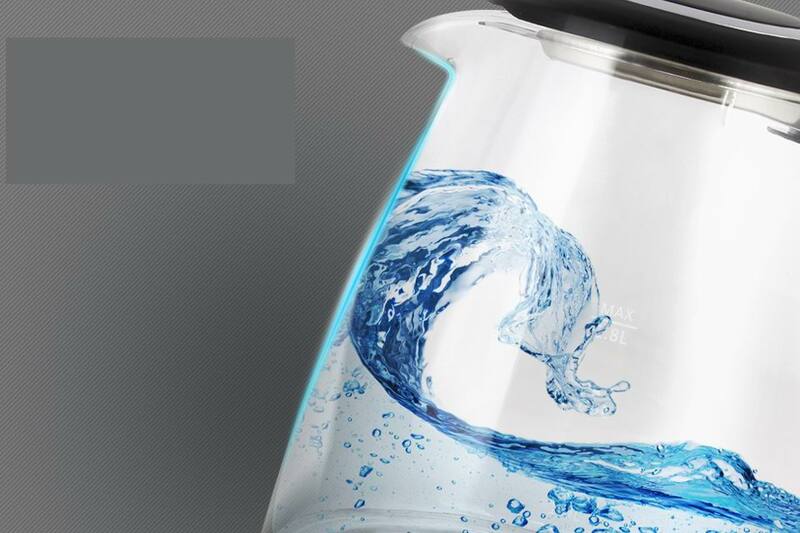 Your kettle might need to be descaled.Clean the descaled. Serval variables can affect heat-up time,including rom temperature,how much water is in the kettle and the temperature of the water.